Will you be able to sell your company? Will the Great Boomer Business Retirement Migration Actually Happen? 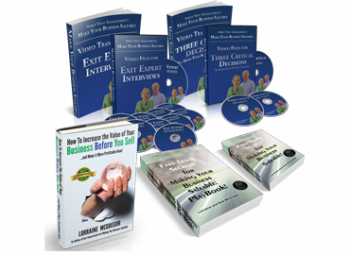 We listened to Trevor a proud and accomplished silver haired 59 year old , the owner of a 15 million dollar industrial company and wondered whether he and his 58 year old partner, Paul realized what getting that exit buyout would require on their part. 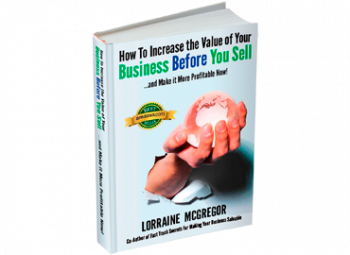 “There is only one way you are going to find a buyer willing to invest that much in your business. It’s called Exit Planning and it may take 2-4 years to complete before you’re ready to sell.” I looked over at my consulting partners as we watched Paul and Trevor’s faces fall. We had seen this reaction many times before. There is nothing more painful than seeing successful business owners suddenly realize their retirement dreams might remain only a fantasy. The numbers suggesting this is indeed possible are staggering. By 2011, the first of 70 million boomers are going to turn 65 years old. There are more than 26 million businesses in North America, and 50 percent are owned by boomers, according to the Small Business Administration. And 7 out of 10 of these owners will want to sell their business over the next 10 years, according to the Association for Mergers and Acquisitions Advisors. That represents $10 trillion in retirement value and 75 percent of that $10 trillion may not be realized according to Richard Jackim in his book “The Ten Trillion Opportunity – Designing Successful Exit Strategies for Middle Market Business Owners”. Industry Canada and the US Small Business Administration are very concerned that boomer business owners are not paying attention to these statistics and secondly do not have a good understanding of what it takes to sell a business. They have alerted city economic development groups across the country like the City of Nanaimo, BC and the city of Chicago, IL who are now trying to come up with ways to alert owners and help them to get ready. They are planning for the future to ensure their communities stay economically buoyant according to Jason Boyce in an article entitled “Get Ready for the Big One: Succession Facilitation & the Coming Demographic Wave of Change” published in Making Waves Magazine. Spirit West Management advises owners what must be done to â€¨set their house in order. Rieger McGregor of Spirit West offers these five tips for businessâ€¨owners who are starting to think about finding a buyer in the comingâ€¨ years. First Tip? Start NOW. Let go of your business now, emotionally. It’s not a reflection of who â€¨you are; it is an asset that has investment value. The more you can view â€¨your business from the eyes of an investor, the easier it will be toâ€¨make the transition to improving it so it will be attractive toâ€¨investors. This is not to say stop being passionate about your business,â€¨it says let it stand on its own two feet. If you were to buy this company tomorrow, what clues would tell you thatâ€¨ it would continue to be a successful company? What would you look for to â€¨tell you that if you didn’t know anything about the company? Buyers wantâ€¨ to see past evidence of growth: The plans, the result and the effect onâ€¨profits. They want to know the industries your company sells to are haleâ€¨and hearty especially in this challenging economy. Are your customers â€¨loyal, buying more regularly and getting your best solutions? Do youâ€¨ have a sales pipeline leading to increased revenue? What tools do you â€¨use for decision making? All of these things show a buyer you run a â€¨tight ship. Who will run the company if you’re not there? Can you disappear for sixâ€¨weeks right now and be sure the company will still be humming when youâ€¨return? If not, you’ve got work to do. You may need a management team orâ€¨a CEO. You may need to start training and trusting your own people a lotâ€¨more than you do now. When you walk into your operation is theâ€¨atmosphere tighter than a drum or congenial, tense or excited? How come? For the next three years you’ve got to show increasing profit margins inâ€¨a consistent, steady uphill line. That means you will have to clean outâ€¨the personal items in your expense account, know where you are missingâ€¨ the mark and losing money and fix the problem and then set goals and â€¨targets that your team is accountable for. Then look at your agreements â€¨and contracts and get them reviewed by a lawyer. Do your supply â€¨agreements restrict geographic territory or activities? Do you have theâ€¨best suppliers on your team? Are your shareholder and management â€¨agreements tight or misunderstood? Get the right kind of help to sortâ€¨these problems out. When was the last time you expanded your market place, launched a newâ€¨product or rethought your solution set to better meet customer needs? Is â€¨it easy for customers to switch from your product to some other company’s? If so, you better find out why. Get to know your target market. Are â€¨you solving their problems in the right way? 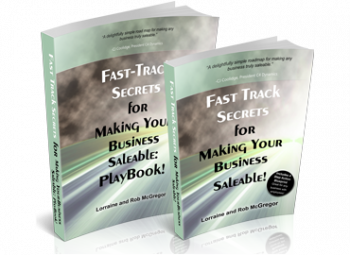 There is opportunity for aâ€¨ profit in every hassle you uncover in their business. It can take 2-4 years to sort out some of these issues. The time flies â€¨fast. Don’t be resistant to this effort: There’s a business to runâ€¨ and there might not be “know how” or time to try and get these ‘value’ â€¨improvements done properly and without business disruption. But investing the time gives both you and your employees a bright and prosperous future. Exit planning and execution is something owners will need help with. You mayâ€¨ need a consultant familiar with exit planning that can help plan and execute these change. Your accountant can devise the best tax strategies. Your lawyer will iron out the agreements and contracts and your board ofâ€¨advisors should be challenging your decisions and holding you accountable for implementing plans. Then you know you close to having a saleable business. If owners want to see their retirement plans realized, the time is now. Over the next few years it will be a buyers market, with many more competitors wanting that big exit payoff too. And what of Paul and Trevor. They are one year into their reorganization and have found a new passion for their business. They know what they want and unlike their competitors, they are well on their way to becoming the right acquisition target for a buyer. And they aren’t tired anymore.